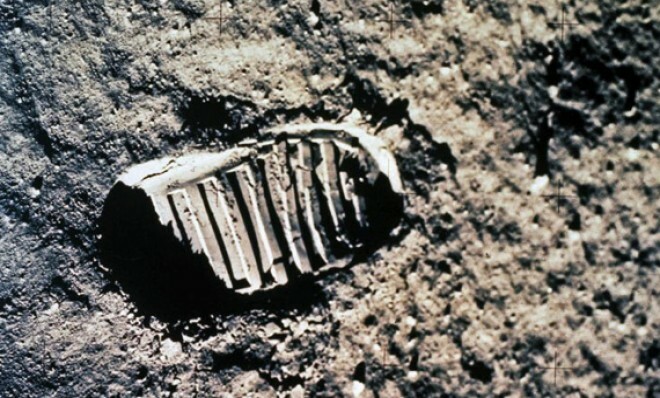 45 Years ago: A Giant Leap for Mankind! From the annals of American space exploration! 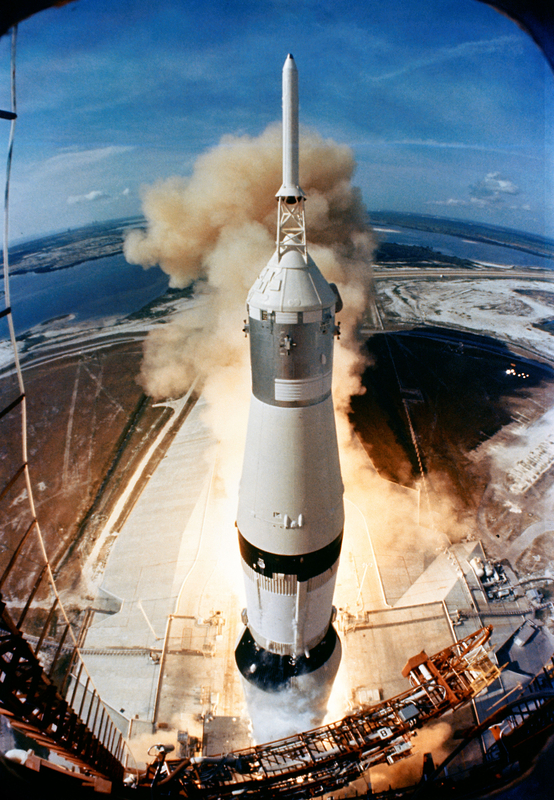 In what was at the time one of the highest achievements of American engineering and technology, forty-five years ago, on 16 July 1969 the APOLLO 11 mission lifted-off from Cape Canaveral, Florida. 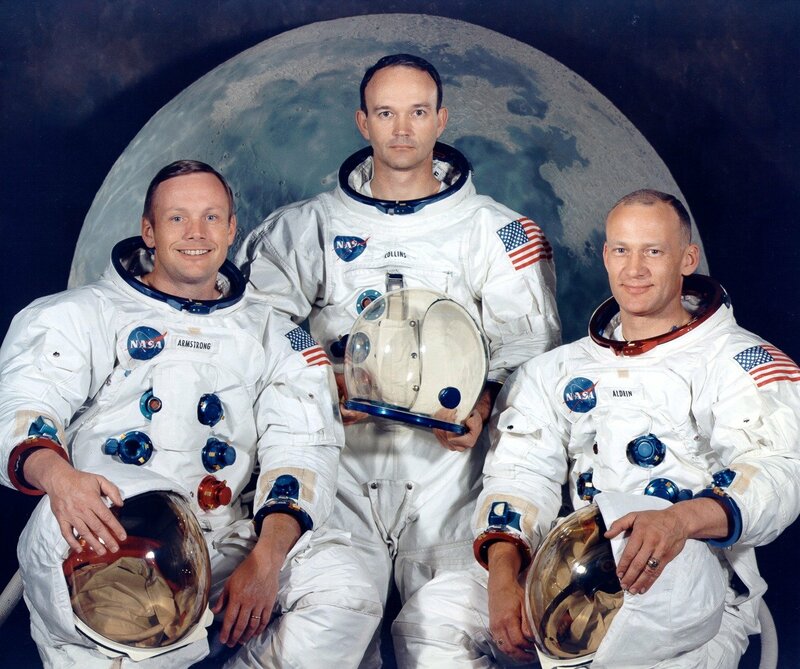 Tha APOLLO 11 Lunar Landing mission crew: Mission Commander Neil Armstrong, Command-Service Module ‘Columbia’ pilot Michael Collins, and Lunar Module ‘Eagle’ pilot Edwin Aldrin, Jr. 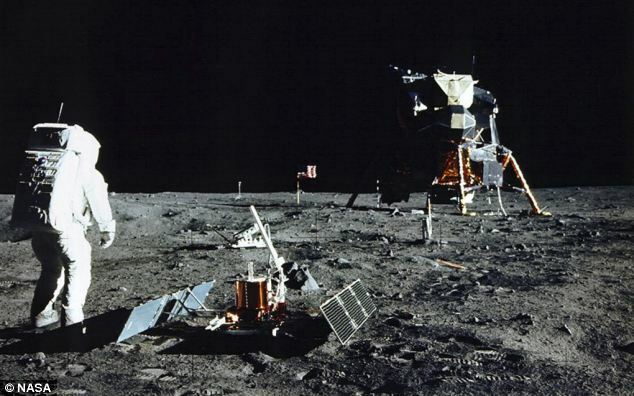 The complex mission, carried out in flawless manner by astronauts Neil Armstrong, Michael Collins, and Edwin Aldrin, involved several vehicles and complex maneuvers. 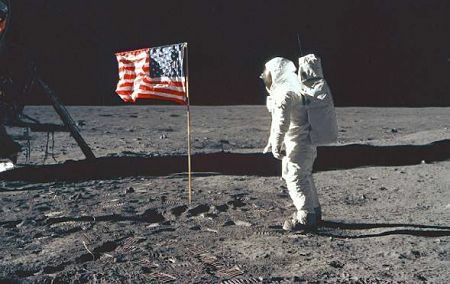 Mission Commander Neil Armstrong, who was the first human being to set foot on the Moon, is remembered for this and other feats during his career, but mainly for his often quoted “One small step for a man, one giant leap for mankind! Armstrong who was a military pilot in active duty during the Korean War and one of the astronauts aboard the Gemini 8 mission, passed away in August 2012. Commander Michael Collins, a former U.S. Air Force Pilot, was pilot of the ‘Columbia’ Command/Service module that remained in Lunar orbit while Armstrong and Aldrin Jr. descended to the Moon’s surface riding the “Eagle’ Lunar module. The Columbia was the rocket spacecraft that brought the three APOLLO 11 astronauts back to the Earth’s environs for their final landing aboard their capsule for a splash-down in the Pacific. Commander Edwin Aldrin Jr., also an air force pilot who saw active duty during the Korean War, was the pilot of the ‘Eagle’ Lunar Module, responsible for touching down on the Moon’s surface and for lifting-off from the Moon to ascend to the orbiting Columbia command module for the ride back to Earth. 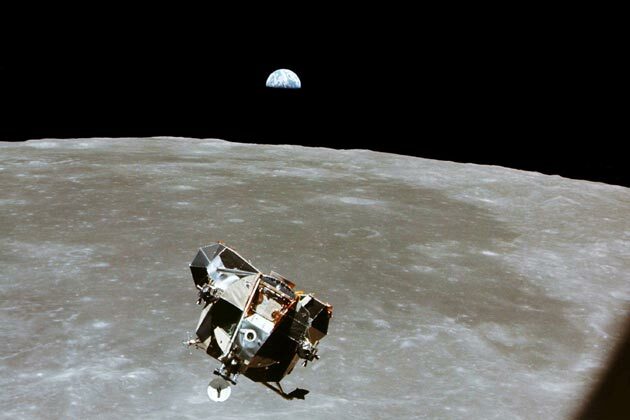 The Lunar Module ‘Eagle’ ascending back to the orbiting ‘Columbia’ module, with astronauts Armstrong and Aldrin aboard. A ‘half Earth’ rises above the Lunar horizon…a ‘pale blue dot’ we all call home! On this day, the 45th anniversary of such an excellent accomplishment and triumph of the collective American spirit, let us all trust we shall be able to recapture the same leadership, unity of purpose, collective dedication to a national objective, and good all-American roll-up-your-sleeves-and-get-to-work ethic to reapply them to confronting the challenges of global warming, sea level change and climatic extreme events that so threaten our nation and all of humankind. May our grandchildren in the year 2059 be able to look back and thank the leadership, unity of purpose and clear vision of their forefathers, our generation, who had the guts and the wisdom to put aside ideological differences to work for the common good of country and planet Earth. May they also be able to celebrate yet another giant leap for humankind!